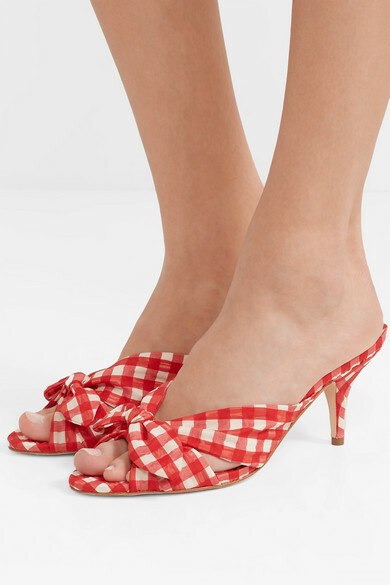 With their gingham print and slim kitten heel, Loeffler Randall's retro canvas mules bring to mind silver screen sirens like Marilyn Monroe. 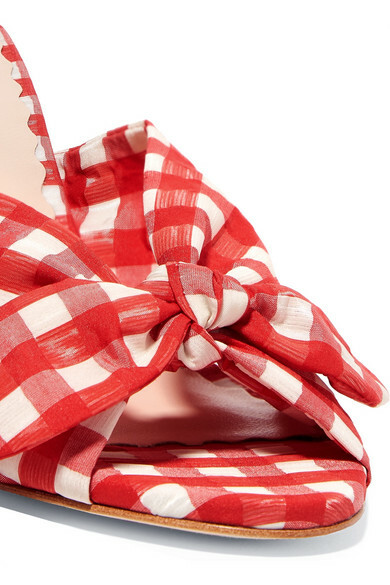 The front strap is perfectly knotted so that the bow rests against your foot. 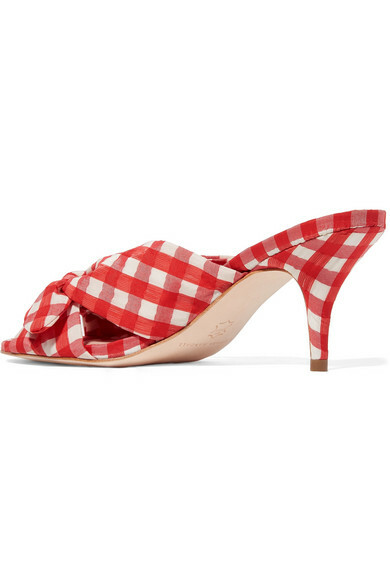 Thanks to the leather lining, they're comfortable enough to wear all day. 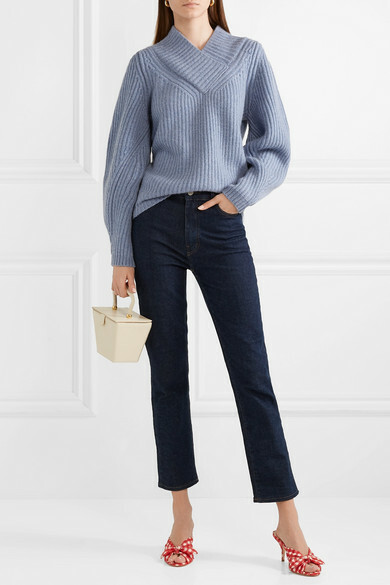 Shown here with: Khaite Sweater, AGOLDE Jeans, STAUD Tote.